Cordon Bleu is a thinly pounded piece of meat (most often chicken, but also veal or pork) stuffed with ham and cheese, then breaded and fried. 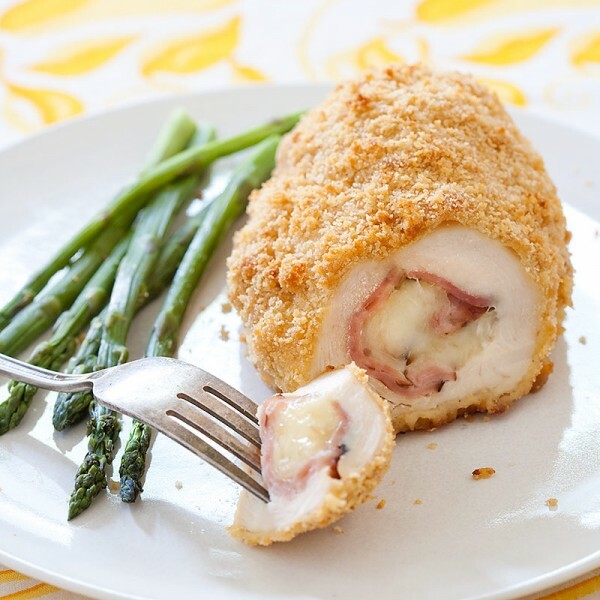 Chicken Cordon Bleu is a relatively recent American creation, first found mentioned in the written word in 1967. Common variations on this recipe include baking instead of frying, skipping the breading, and switching the order of the meats. I didn’t know about this national day but i sure like “cordon bleu”.Lovely photo.